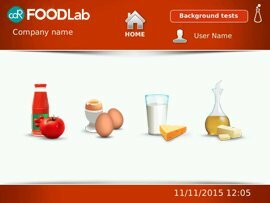 CDR FoodLab® is the analysis system to test easily and rapidly the key parameters for fish oil quality control, either in a laboratory or directly on food industry production lines or even aboard ships. Reduced testing time, easy use and reliability of results allow to optimize the production process or the processing of fish oil. Fish oil tends to oxidize very quickly, that is why it is vital that processing companies may rely on an instrument such as CDR FoodLab®, which allows for a simpler and faster monitoring of the oxidation status of fish oil. CDR FoodLab for Fish Oil was last modified: March 6th, 2019 by CDR s.r.l. CDR FoodLab® is a self-contained apparatus complete with everything needed to easily and quickly determine the oxidation status of fish oil. An analyzer based on photometric technology, available in the standard or Junior version, equipped with state-of-the-art LED emitters, reading cells and 37°C thermostated incubation cells. 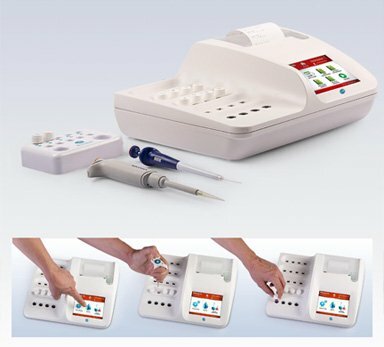 CDR FoodLab® is a true testing laboratory: thanks to its compact size, it can be used on the production line, in a laboratory, or even aboard a ship. How are quality control tests on fish oil performed? Performing chemical analyses on fish oil is simple and fast because sample preparation is not required. All reagents are supplied pre-vialed and ready to use, and operators do not have to get in touch with toxic or carcinogenic compounds; there is no need to wash either containers or traditional glassware. The CDR FoodLab® chemical analysis system for fish oil can be also used to test any type of vegetable and animal fats and oils. Moreover, it can be configured to perform analyses on egg products, milk and dairy products, tomato derivatives and vegetable purées in general.